Dave Elger on Running, Racing and Training: Alkaline Water- Does it Do Anything? Alkaline Water- Does it Do Anything? There are those who believe and those who don't. Ionized or alkaline water has been called "snake oil" by skeptics, while others believe that drinking high pH water can improve health. 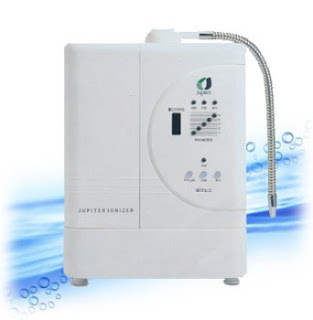 I personally own a Jupiter Water Ionizer, and while I have no evidence that it's doing anything for me, I've heard enough testimonials to make me think there is something to this. It also makes sense to me that the benefits of drinking alkaline water for endurance athletes would be significant in terms of recovery and maintenance of optimal health. Check out this Japanese youtube clip on studies with chickens and mice fed alkaline water. If nothing else it will make you think about it.